Nothing says Fall time more than warm, cozy tones. You do NOT have to be afraid of color. I cannot tell you how many times we have clients come to us and just need advice on what direction to go. It can definitely be overwhelming, to say the least. Think about it……. you basically have this gigantic block of a million different choices! Most are afraid of color. They may really want something bold and bright, but are afraid to make that jump. Or, one spouse wants color, while the other doesn’t. Whatever your situation may be, you don’t have to be afraid! 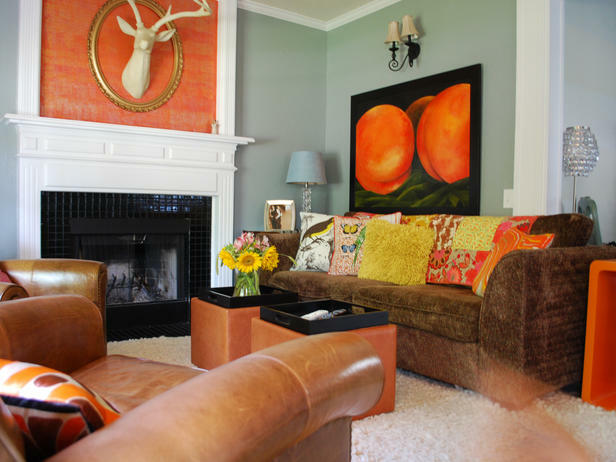 Here are some great looking rooms with amazing Fall color combos. 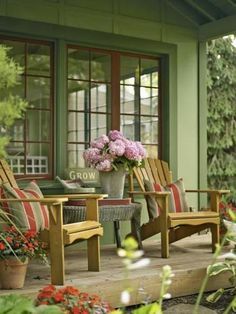 Earthy Greens, like this paint color above, and accents of burnt orange bring the outside, in. The same orange tones mixed with bold deep blues, give a Colonial-Modern feel to this space. 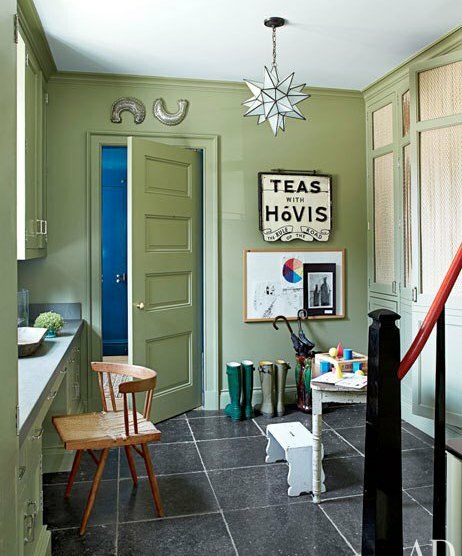 This special “color on color” approach, adds texture to a room and allows a “mossy green” to take center stage, while the slate floor grounds the space. Once again, this green on green approach, works for the outside as well. Mixing tones of brown, gray, and accents of reds really makes for a pleasant area to curl up with a great book and sit a while! 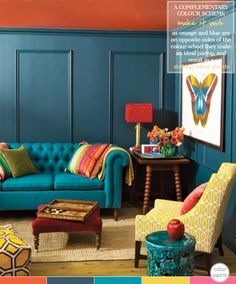 Whatever your need may be for painting a space this Fall, why not go bold and try something outside your comfort zone? You may be pleasantly surprised by just how much you like it! Here you can find all the updates for Canterbury Court located in Kingston Plantation. Please check back weekly for updates regarding this project!